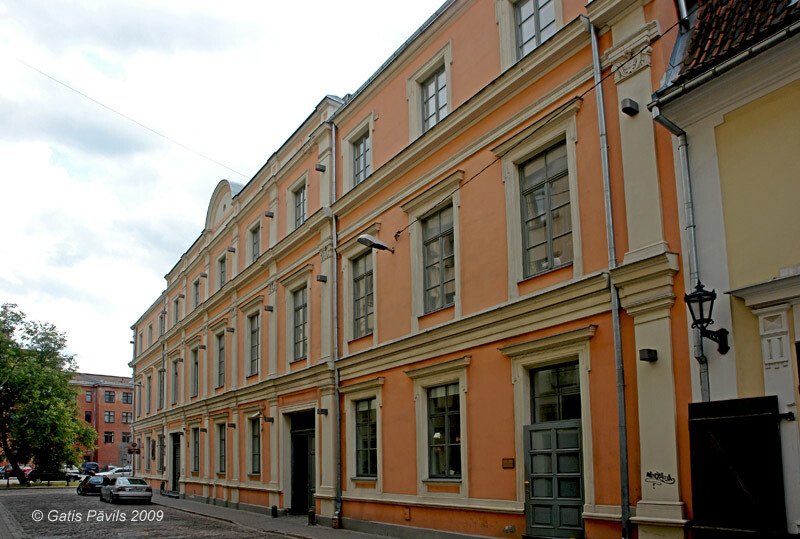 Shortly before the arrival of Peter I in Riga in 1712 there were built special apartments for him. For these purposes next to the protective wall there were purchased and rebuilt several apartment buildings from 17th century. The new building was named Palast. This building gave also a name to Palasta Street going along it. It is believed that author of the design is F.B.Rastrelli. At the level of second floor there was formed ascent to so called Hanging Gardens which were formed above the fortification wall. 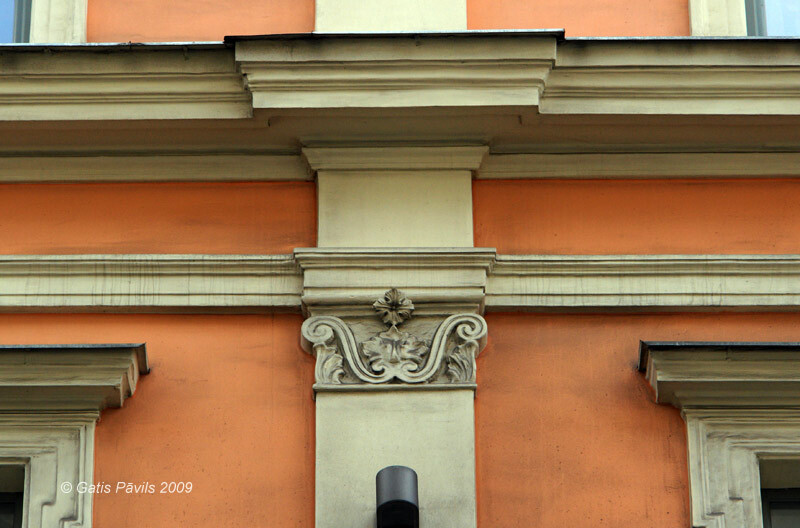 Facade towards Palasta Street was adorned with risalit crowned with pediment based on six pilasters. Palace was rebuilt in 19th century - then it was also made higher. Thus it lost its initial elegant proportions. 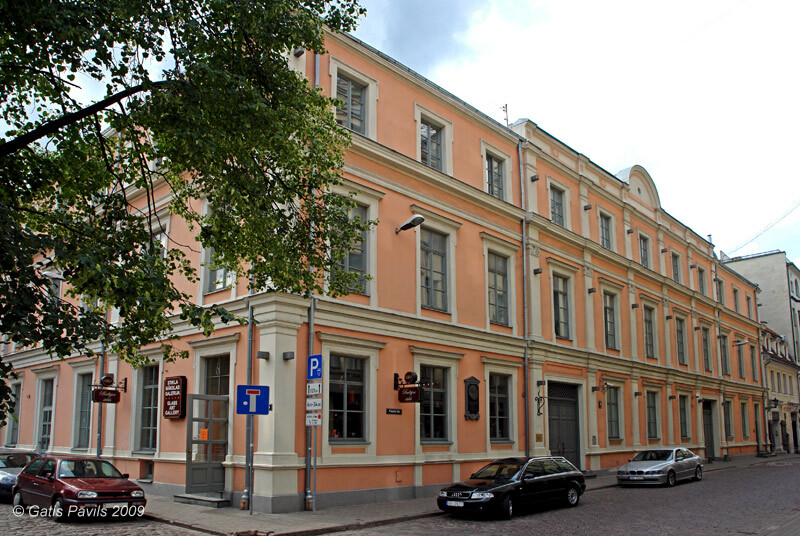 There is believed that part of the complex of palace is also cart-house in the opposite side of the street in Palasta Street 6. Palace has been reconstructed and rebuilt in 1990ies, it is used for apartments and offices. Palace of Peter the Ist. Palace of Peter the Ist, detail of facade. 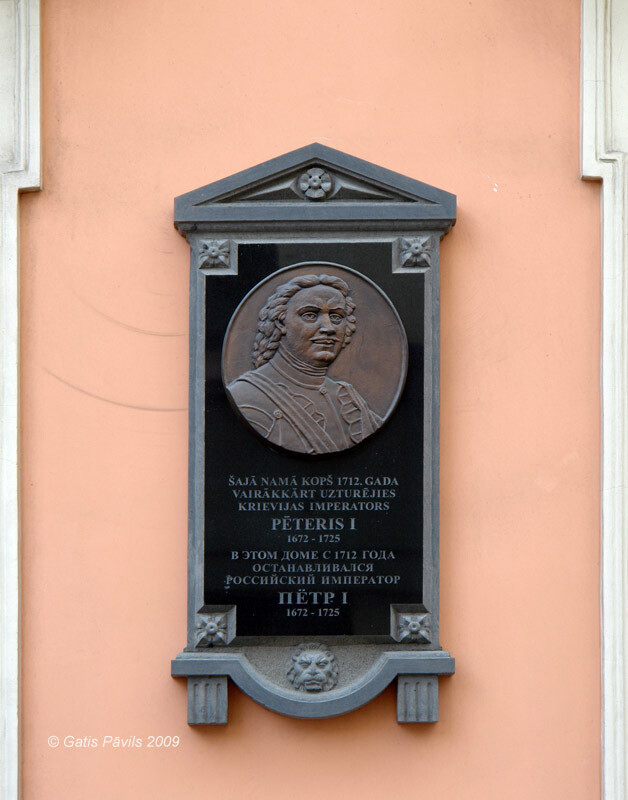 Palace of Peter the Ist, memorial tablet.